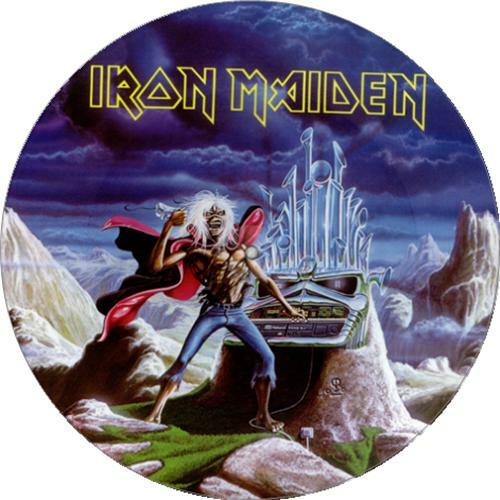 IRON MAIDEN Run To The Hills (1985 UK limited edition 3-track 12" Picture Disc featuring the title track recorded live at the Long Beach Arena in March 1985, plus Phantom Of The Opera and Losfer Words from Hammersmith Odeon in October 1984. 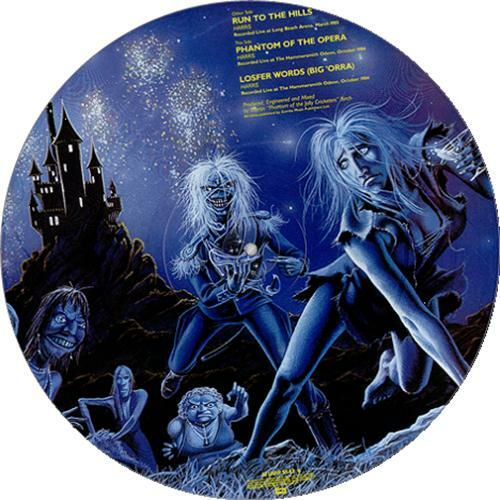 Superb Phantom Of The Opera 'Eddie' picture on the A-side with Prince Charming 'Eddie' on the reverse! 12EMIP5542).